Contain onion odors while keeping cut onions fresh and moist. 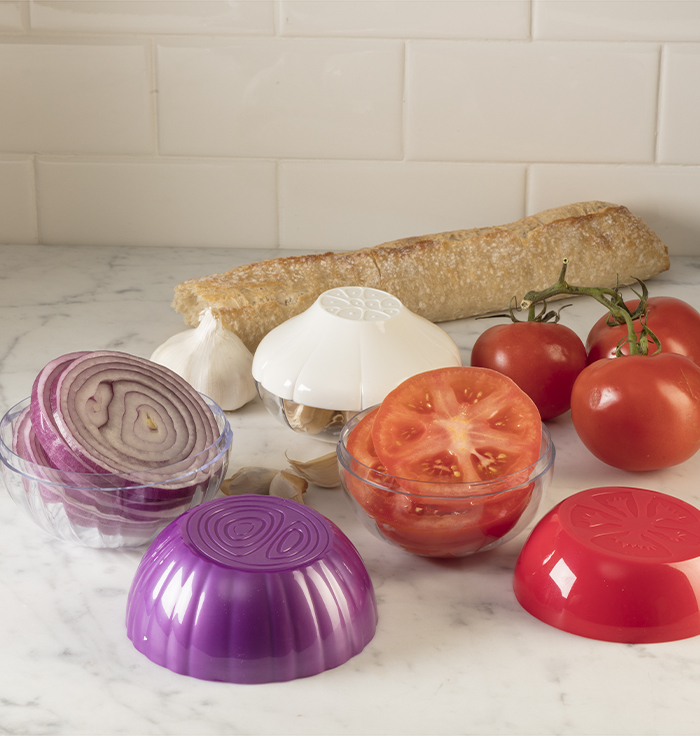 The Pro-Line Onion Saver® features a clear bottom and jewel-toned top. It will never be lost and forgotten in the fridge. The 2 sides attach by twist lock. 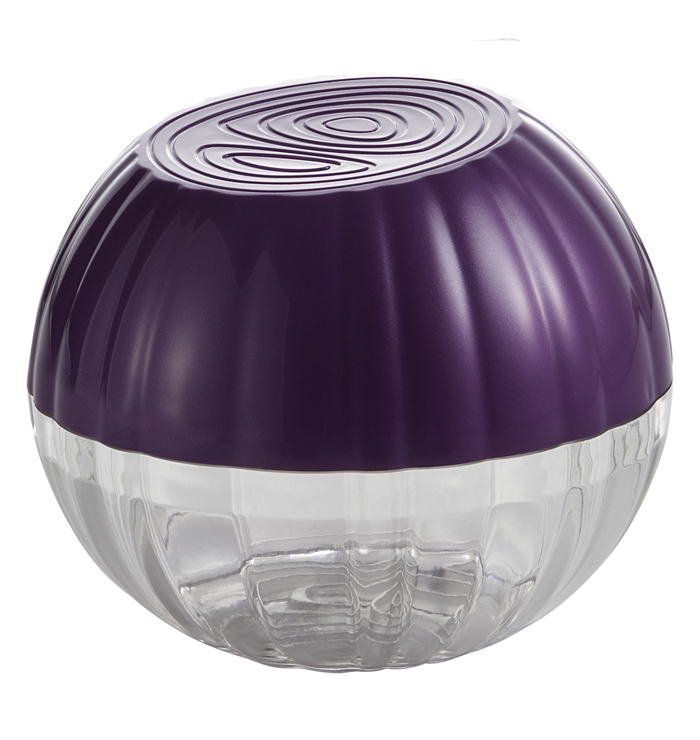 It is phthalate and BPA-free. Reusable and recyclable. Dishwasher safe. Material: SAN and polypropylene. BPA-free.